Baruk Guadalajara Hotel de Autor is a luxury 5* resort located in Guadalajara, Mexico. It features 117 rooms. 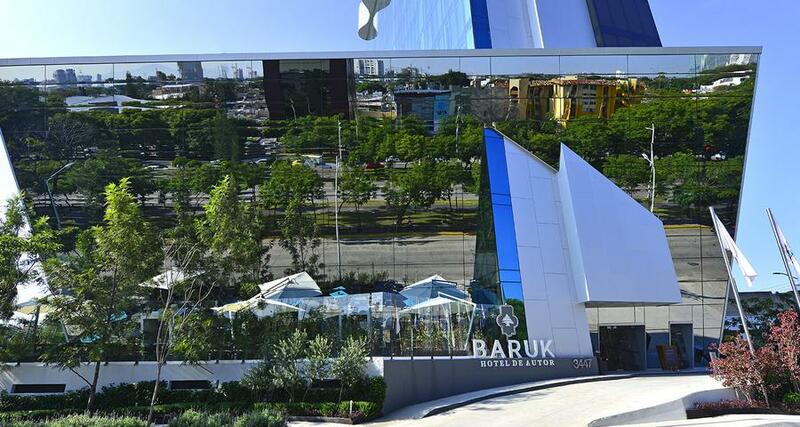 Baruk Guadalajara Hotel de Autor is a modern property with a stunning architecture, located on one of the main avenues of Guadalajara and with easy access to the Matute Remus Bridge, shopping malls and other attractions. This business hotel has an array of excellent services for all kind of travelers, as it offers a restaurant, a relaxing spa, a fitness center, spaces for meetings and events, a business center and much more. All of the guestrooms are finely decorated in a contemporary style and are equipped with luxurious amenities, such as air conditioning, cable television, a state-of-the-art coffee maker, Wi-Fi and exclusive toiletries. Baruk Guadalajara Hotel de Autor also offers wedding facilities, parking, laundry service and a steam room.